Published: April 7, 2015 at 10:00 a.m. Updated: April 16, 2015 at 01:50 p.m.
Just like last year, the NFC North goes through Green Bay. The Packers laughed off free agency, saving their money for their own biggest target: Randall Cobb. That move alone should guarantee that Green Bay's offense picks up where it left off in January. Nothing about the Packers suggests a letdown beyond an injury to Aaron Rodgers. Their Super Bowl window is wide open. The Lions roared into the playoffs last season, but getting back won't be easy after Ndamukong Suh and Nick Fairley signed elsewhere in free agency. There's still plenty of talent on offense with Calvin Johnson catching passes opposite Golden Tate, but Suh's absence, especially, is devastating for Teryl Austin's second-ranked D.
The Vikings continue to sign ex-Bengals to help coach Mike Zimmer's defense, but the burning question remains: Will Adrian Peterson wear purple in 2015? If so, he returns to a team with a promising young quarterback in Teddy Bridgewater, which is more than we can say for the Bears, who pray that coordinator Adam Gase can correct Jay Cutler's play. Not much has changed in the NFC North, where closing the gap on Green Bay remains a work in progress. When you own the game's finest quarterback, as the Packers do, everyone else is just playing for second place. Why the rest of the North should worry: Because very little has changed. Despite their disastrous playoff loss to Seattle, Green Bay refused to panic or veer away from their team-building model: Ignoring the open market in favor of building through the draft. Staring down a talent-packed roster, general manager Ted Thompson successfully accomplished his top task: Fending off the competition to re-sign Cobb. The Packers deserve plenty of credit for convincing the NFL's premier slot man to turn down better deals elsewhere. Thompson also retained Bryan Bulaga as a reliable right tackle along Green Bay's offensive line. Along with the short list of needs below, it wouldn't hurt the Packers to develop a sure-fire backup behind Aaron Rodgers, but people inside the building love Scott Tolzien. We'll trust Green Bay's judgement at the quarterback position. » Finding cornerback help: Along with losing Tramon Williams to the Cleveland Browns, the Packers also saw Davon House depart for Jacksonville. You can't have enough cover men in today's NFL, and it wouldn't shock us to see Green Bay grab one with the No. 30 overall pick unless they feel Casey Hayward can shift outside. » Restock at inside linebacker: After re-signing Letroy Guion and B.J. Raji to pad their three-man defensive front, the Packers must focus on adding talent at inside linebacker. With A.J. Hawk, Brad Jones and Jamari Lattimore out the door, Green Bay knows what to do come draft day. » More D-line help: History tells us Thompson will use the draft to fortify Green Bay's defensive front. After all, the GM has nabbed a tackle or end by Round 3 in each of the past three drafts. Why they remain second fiddle: While the Packers successfully re-signed their own valuable free agents, the Lions couldn't find a way to keep Ndamukong Suh or fellow defensive tackle Nick Fairley. The front office added Haloti Ngata to help fill the void, but Suh's departure could signal the end of Detroit's "Wide-9" front, which was primarily built around the mauling, behemoth lineman. The Lions were relatively quiet on the open market, re-signing cornerback Rashean Mathis and kicker Matt Prater and adding former Saints defensive lineman Tyrunn Walker. This remains a talented roster, but the lost star power in Detroit comes with a price. » Suh and Fairley replacements: The Lions lack proven performers behind the 31-year-old Ngata, making the interior line an immediate need if Austin plans to continue with his four-man front. » More outside pass rushers: Detroit has something special in Ziggy Ansah, but the Lions could use depth alongside Devin Taylor and Jason Jones. It won't be easy chasing the quarterback with Suh out of the mix, so finding a difference-making pass rusher looms large. » Offensive line: Beyond Riley Reiff at tackle and Larry Warford at guard, Detroit has issues up front. Tackle LaAdrian Waddle was an injury concern last season, something the team can't fall victim to again if they hope to improve on the 45 sacks Stafford absorbed. Reasons for hope: The Vikings have the opportunity to emerge as a sneaky team in the NFC. On the heels of Teddy Bridgewater's mostly promising rookie campaign, the team upgraded at wideout by trading for the fleet-footed Mike Wallace while saving $5 million in cap space by dumping Greg Jennings. Wallace gives the Vikings a bona fide No. 1 target to pair with the promising Charles Johnson. If Cordarelle Patterson can shake off last year's disappointing campaign and Kyle Rudolph can stay healthy, Norv Turner's air attack will soar. That said, the O-line needs help. On defense, Zimmer added a pair of former Bengals in cornerback Terence Newman and safety Taylor Mays. Eagles castoff Casey Matthews will compete at linebacker, while middle man Jasper Brinkley has left Minnesota for Dallas. The biggest question is clear: Will Peterson start the season in a Vikings uniform? If he does, Zimmer's squad has the bodies to field a balanced offense and a defense that should improve in Year 2. » Find offensive linemen: Left tackle Matt Kalil is coming off a brutal campaign and his contract runs out after 2015. It's not too early to find a tackle in the draft; Minnesota also needs help at guard. » More cover men: Zimmer knows how to develop cornerbacks and could look to add one with the No. 11 overall pick. NFL Media's Bucky Brooks isn't alone in mocking Michigan State's Trae Waynes to the Vikings, which would give the team a potential starter across from Xavier Rhodes. » Solve the Peterson problem: The Vikings insist they won't shop Peterson. We expect him to stay put, but that could change if the Cowboys or Cardinals dangle a king's ransom in front of general manager Rick Spielman. Starting over again: The Bears are another reminder of how quickly things change in the NFL. Last offseason, we were crowing over Marc Trestman as a quarterback whisperer supreme. Now he's gone, replaced by coach John Fox and two outstanding assistants in offensive play-caller Gase and defensive coordinator Vic Fangio. 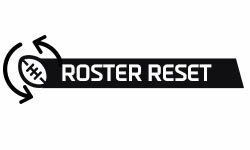 We consider it an upgrade across the board, one that should bring stability to a team that spiraled into the abyss in 2014. Fangio and Fox appear determined to revamp last year's 30th-ranked defense, using free agency to add versatile pass rusher Pernell McPhee and 3-4 end Ray McDonald. Losing tackle Stephen Paea hurts, but the addition of Antrel Rolle is an upgrade over Chris Conte at safety. On offense, the Bears aren't sold on Cutler, but it was the wrong offseason to find free-agent competition. After trading away Brandon Marshall, look for Chicago to take a wideout high in the draft -- and maybe a quarterback soon after. » Keep adding defense: The Bears over the past two offseasons have added a pack of pass rushers in McPhee, Jared Allen, Lamarr Houston and Willie Young. They still need more help at inside linebacker and throughout the secondary. NFL Media's Lance Zierlein believes cornerback Trae Waynes could be the target at No. 7, while Charles Davis sees Chicago plucking up Missouri defensive end Shane Ray. Both make sense. » Unearth Marshall's replacement: The Eddie Royal signing doesn't patch over the loss of Marshall, who caught 100-plus passes in two of the past three seasons for Chicago. We could see the Bears snagging multiple wideouts in the draft. » Find tomorrow's quarterback: Despite their lukewarm praise, the Bears barely believe in Cutler. They simply couldn't find a better option in free agency. Oregon's Marcus Mariota is a realistic draft-day target if he falls to No. 7. If not, look for Chicago to nab a prospect in the later rounds.